TNUSRB notified all the job seekers of Tamil Nadu about the TN Police Recruitment of 969 SI Posts. The confirmed notification of this TNUSRB SI Recruitment is furnished in the www.tnusrbonline.org page. This TN SI Online Application link also opens from 20th March 2019 To 19th April 2019 at that tnusrbonline.org page only. So hustle to complete the name enrolling process. 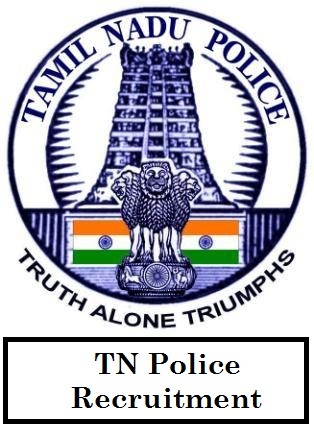 For the applicants, this page can be the reference to know all the TN Police SI Recruitment Details. Here you will notice every minor point that is given in the official notification so that we don’t require the official one. Any doubts or queries related to this TNUSRB Recruitment can be clarified by our team. To provide the employment to the most eligible and talented candidates in Tamil Nadu Police Department, TNUSRB newly updated the TN Police SI Recruitment 2019 in the connected recruitment page tnusrbonline.org. Almost for the 969 Sub-Inspector Posts that are in the Tamil Nadu USRB SI Jobs Card, this TN Police Recruitment 2019 notification is publicized. In the name of this TNUSRB notification, TN Police board welcomed the appropriate eligible candidates to get into this recruitment process as a competitor. For this Tamil Nadu Sub InspectorPolice jobs, waiting for postulants are in huge. So surviving in this toughest combination is the biggest thing. So know the details about it first. For the Police Department vacancies in Tamil Nadu, a separate recruitment board is available. That board is Tamil Nadu Uniformed Services Recruitment Board (TNUSRB). All the formalities related to the TN Police Recruitment will be taken care of by this board. Only this TNUSRB members involved in the whole recruitment process. Others won’t interfere. For the TNUSRB SI Recruitment details verification, you better refer this TNUSRB page rather than the TN Police main page. Or else, you can check the conditions given in the Official TN Police SI Notification at the below section of this page. A Degree (B.E/B.Tech) in Electronics and Communication engineering by All India Council for Technical Education. The Diploma should have been obtained after completion of SSLC or Higher Secondary course and Degree should have been obtained after completion of SSLC and HSC or Diploma. The degree should have been obtained after completion of SSLC and 3 years Diploma. Candidates should have studied Tamil as a subject in X / XII. If not studied, candidates will have to pass the Tamil-Part II Test conducted by Tamil Nadu Public Service Commission within 2 years of joining the service. Examination Fees: Rs.500 should be paid by all the candidates. These SI posts are not the General cadre, they are the Tamil Nadu USRB SI Department vacancies. For the enrolling of this TNUSRB 969 SI Posts Recruitment, candidates have to know about the educational qualifications first and later other remaining conditions like age limit, application fees amount to be forwarded if you want to know the TN Police SI salary range that also available here. Some excuses or relaxations will be there in case of other eligibility except for educational qualifications. Any category applicant should get the applicability for applying the Tamil Nadu USRB SI Job Vacancies Notification when he/she has the given educational qualification without any exemption. Check the Upcoming Employment News Here on our page. Think to apply for these 969 Tamil Nadu USRB SI Vacancies in a planned manner. Like, start with the verifying the details of TNUSRB SI Recruitment. Later, if you are sure enough about this TN Police Recruitment, then immediately open the TN Police Application Form @ tnusrbonline.org. Better do the particulars filling process during the initial dates of the application form. Don’t put off the process of form submission until the last date from 20th March 2019 To 19th April 2019. The recruitment board has given the 1 month period of time only for the applications forwarding process to the selection board panels. It is sufficient time for the Online application submission. Afterward, start the preparation for the Tamil Nadu Sub Inspector Selection Process. As a part of the selection process, the rounds are written exam, Physical Measurement Test, and Certificates Verification. The Details of the TN Police SI Posts is given Here clearly. IS BE MECHANICAL ENGINEERING ELIGIBLE FOR SI FINGER PRINT REQUIREMENT?